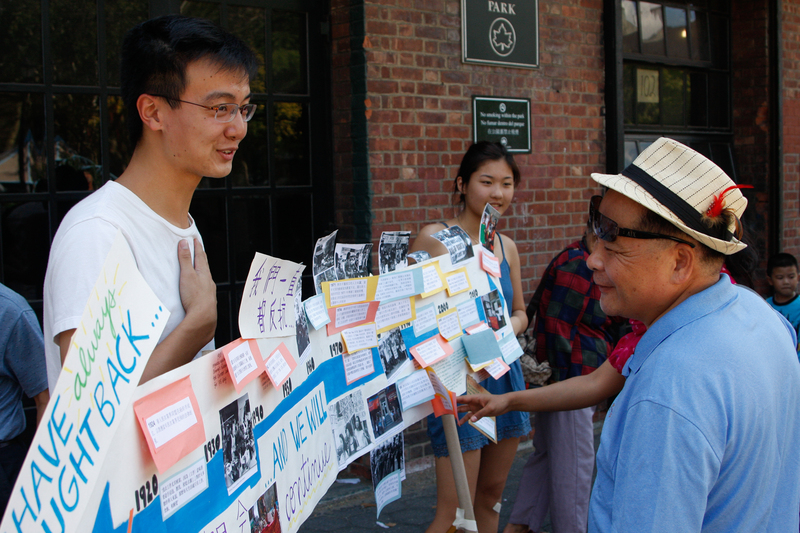 CAAAV’s mission is to build the power of low-income Asian immigrant communities for social justice. What is organizing and how do we create change? Any good doctor will tell you to treat the illness, you must first diagnose the disease. We knock on doors to talk to Asian immigrants about problems they are facing. Many Asian immigrants, because of language barrier and age, never hear from city agencies or organizations. From our outreach and research, we found key issues Asian immigrants face are affordable housing and language access. 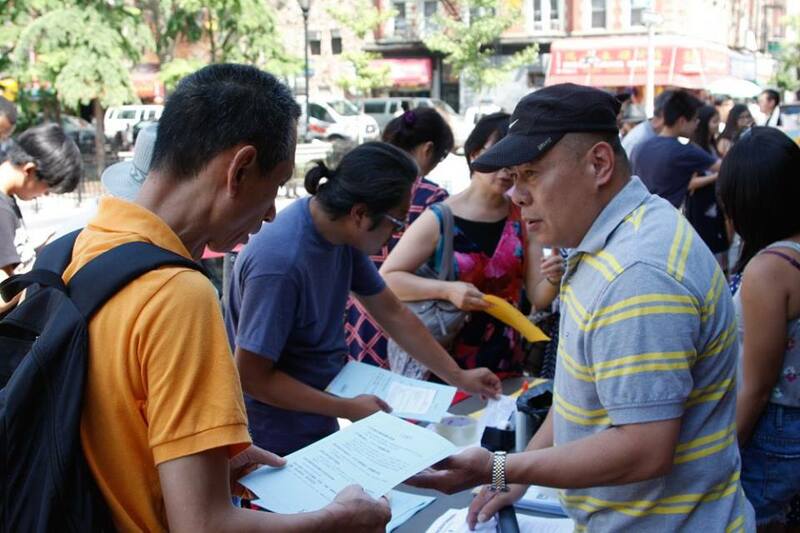 Landlords in Chinatown are harassing tenants to displace poorer residents in favor of new, wealthier residents. 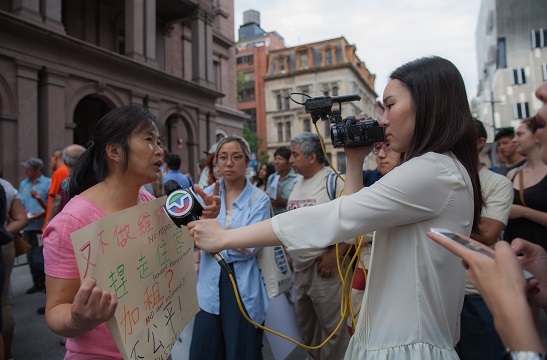 In 2015, CAAAV released the first ever report on the needs of Asian public housing residents showing many Asian immigrants do not contact NYCHA for necessary repairs because no one speaks their language. To create lasting change, we must create institutional change so whole communities can benefit not just individuals. Institutional change only happens when ordinary residents are empowered to envision and demand solutions to the problems that impact them everyday. 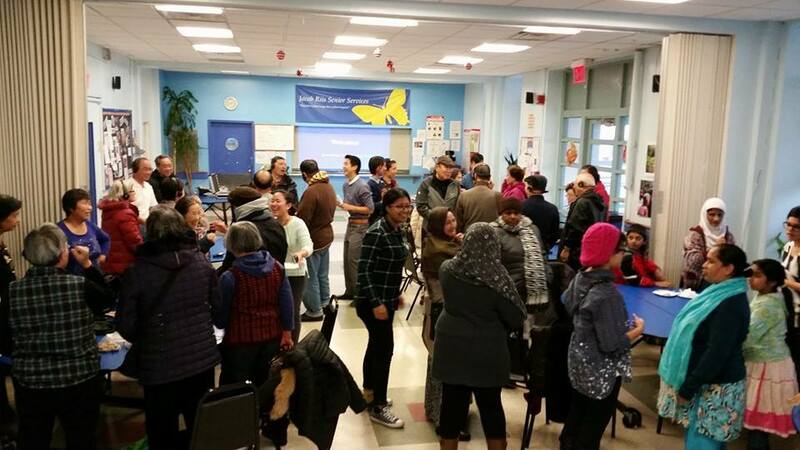 We train Asian immigrants at workshops and meetings to make decisions together, analyze who holds power to give them what they need, and strategize compelling campaigns for how to raise awareness and win change. Every powerholder has their own wants and worries. Landlords want money and the City wants public support (or at least no public outcry). Our members lead campaigns where they negotiate with decision makers, organize demonstrations, and reframe media narratives to pressure powerholders to implement community-led solutions. 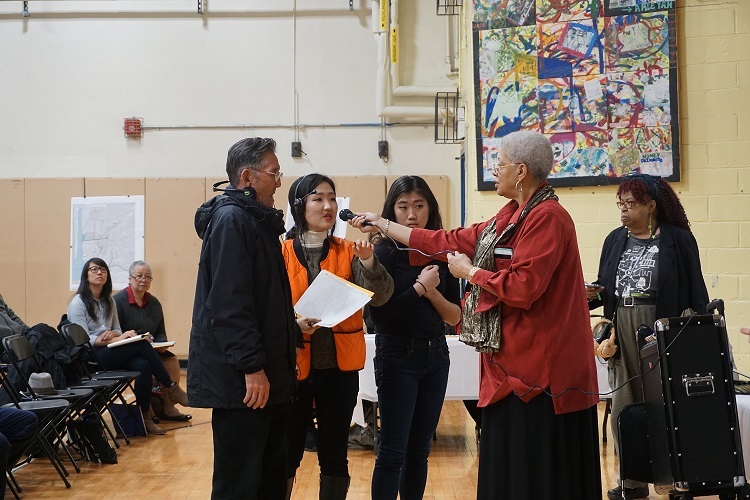 For example, when landlords argued for higher rent increases in rent-stabilized apartments, our tenants testified at public hearings to show the Rent Guidelines Board tenants’ quality of life and wages were not going up, but landlord profits were skyrocketing. We joined tenant organizations citywide packing auditoriums and streets to show how much New Yorkers needed affordable housing. Through people power, we won two historic Rent Freezes in a row to keep rent-stabilized apartments affordable. We work in coalition with diverse communities and across diverse issues. When Trump was elected, we responded to the needs of the moment by holding membership meetings to name concerns, organizing Know Your Rights trainings, and mobilizing. When Trump released his budget proposal cutting federal housing and other social safety nets, CAAAV was on City Hall steps the week after demanding a stop to budget cuts for programs that house over 600,000 New Yorkers. We have seen members reluctant at first to open their doors, speak truth to power. Members who felt isolated, recruit their neighbors. This work takes people, courage, and yes- financial support. So if you believe in our vision for change, please contribute to our Karaoke Battle fundraiser today. And don’t forget to join us Karaoke Battle night too for a night of fun and spirited giving.